Lately a fellow Dumbo-based artisanal shop, Sesame Letterpress, has caught our eye, so we’re very excited to feature them as our artisan of the month for November. 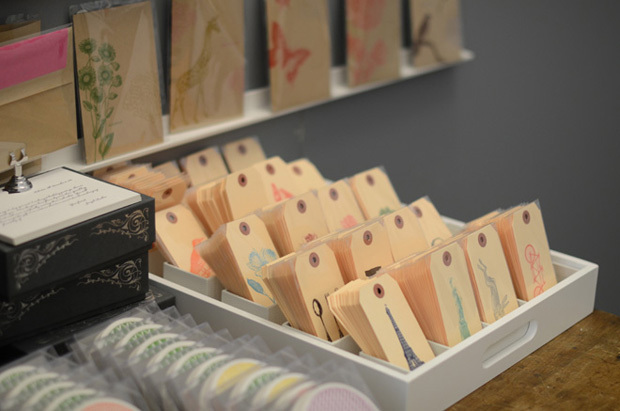 Sesame Letterpress handcrafts beautiful paper products, including stationery, business cards, calendars, note cards and notebooks. 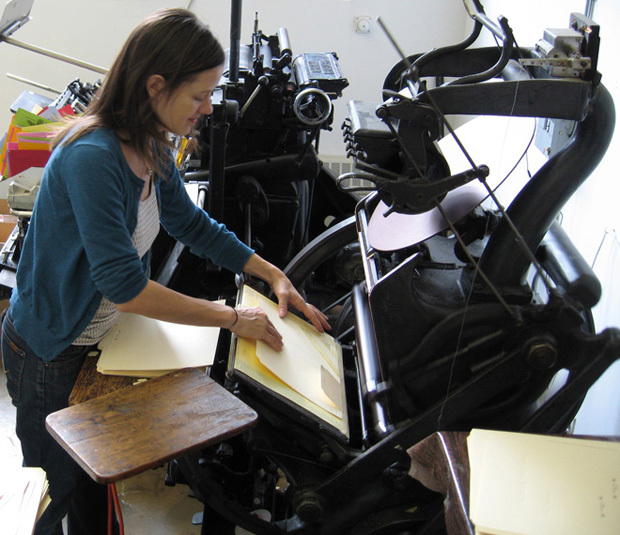 We caught up with Sesame’s Breck Hostetter to learn a bit about the history of both letterpress printing and of her business. 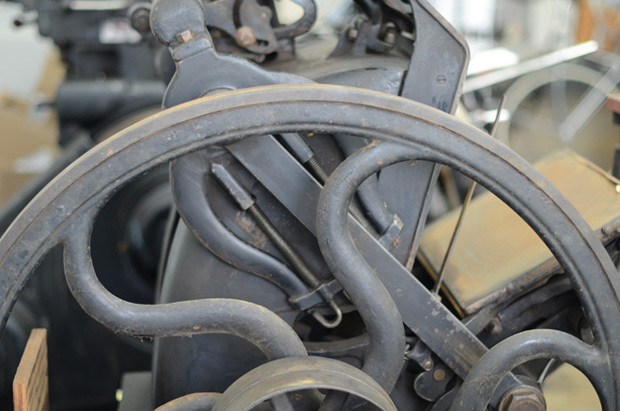 Letterpress printing is all about taking the time and effort to achieve something unique and handmade, without taking any of the shortcuts that modernity technology allows. The technique enjoyed its heyday from the 15th-19th centuries but has made a recent comeback, with trends in small business efforts to put manufacturing back into America and its localized economies—just one of the many reasons why we at Hudson Made are so taken with it. 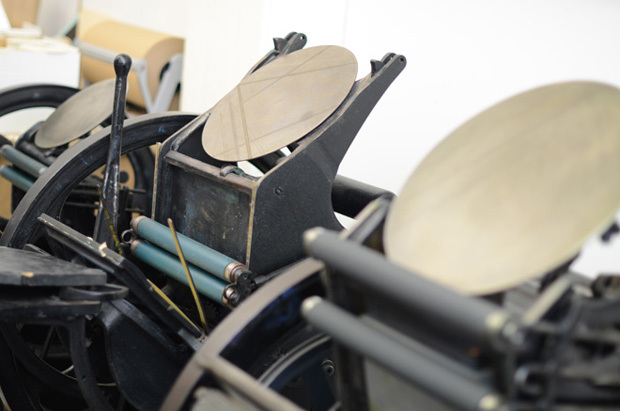 “The letterpress process involves rolling a small amount of ink onto the raised surface of a plate featuring a design and then pressing the raised design onto a piece of paper, resulting in a rich de-bossed impression. Each card is fed into the press one piece at a time and one color at a time. It is a slow but rewarding process and the attention to detail and labor-intensive process generates truly one-of-a-kind stationery and paper goods,” says Breck. Armed with a fine arts background and an 1885 Golding Jobber, Breck began her business in 1999, taking only a few years to turn it into a full-time project. The aesthetic is “heavily influenced by the Victorian era in which the machines first began printing.” Breck added, “I love the detailed etchings of 19th Century advertising cuts and beautiful botanical and animal illustrations. I share the Victorians’ fascination with nature, etiquette, taxidermy and other curiosities.” Children’s books and their “illustrations, colors and imaginative stories” have also inspired Breck. Vintage imagery with bright colors and clean, simple design gives Sesame a look and feel that is completely their own. Though Sesame’s business has flourished, they haven’t forgotten about the importance of local raw goods. They source all materials locally: their main supply of paper from the Gowanus area of Brooklyn, their bookbinding done in Williamsburg, a family-owned business in Long Island City for their packaging. Sesame is firmly rooted in Dumbo, but Breck also enjoys the many great destinations in Carroll Gardens, Brooklyn, the area she calls home when not in the studio. Some favorites include Pokpok, Frankies, Prime Meats and The Good Fork. For stores she loves Bird, Power House Books, Pomme and John Derian. Check out these spots, and of course Sesame, next time you’re in Brooklyn. Visit www.sesameletterpress.com for more information.